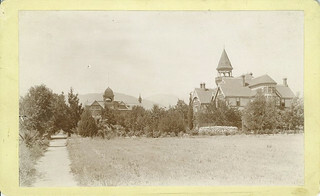 Despite what seemed to be great success in strengthening the College’s financial situation, President Gates, like his predecessors, suffered from the strain of constant fundraising and, at a Board of Trustees meeting in January 1909, not long after presiding over the dedication of Carnegie, Smiley and Brackett Observatory, he abruptly tendered his resignation, stating that the daily pressures of the presidency had robbed him of sleep and pushed him to the verge of nervous exhaustion. The Board accepted his resignation with expressions of deep regret. After a long sea voyage to Australia and New Zealand, Gates felt sufficiently restored to return, at the students’ urging, to conduct commencement exercises in June of that year. The Class of 1909 commissioned a portrait of the former president, which was presented to the College on Class Day and hung in the Carnegie Library. During the year-long vacancy in the Pomona College presidency, George W. Marston was elected president of the Board of Trustees, separating that function from the presidency of the College for the first time since they were combined under President Ferguson. 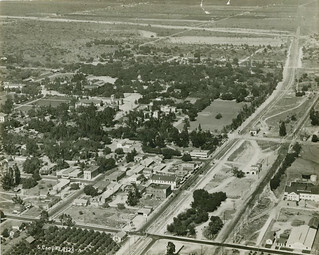 With Occidental College seeking to move from its Highland Park location due to lack of room to grow and Pomona College in search of new leadership, the boards of both institutions considered the possibility of merging the two young colleges in Claremont, as Pomona’s President Ferguson had first proposed in 1900. 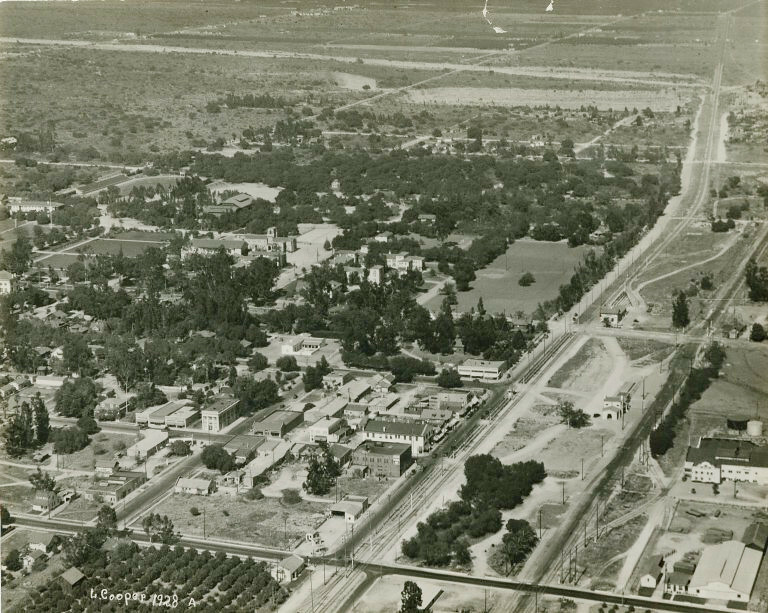 However the Occidental College trustees preferred to keep their institution in “the immediate vicinity of the growing city of Los Angeles,” and so the proposal fell through. The College Catalog lists three new departments, Engineering and Graphics; Fine Arts; and Physical Culture (the predecessor to what would become the Physical Education Department in 1912). 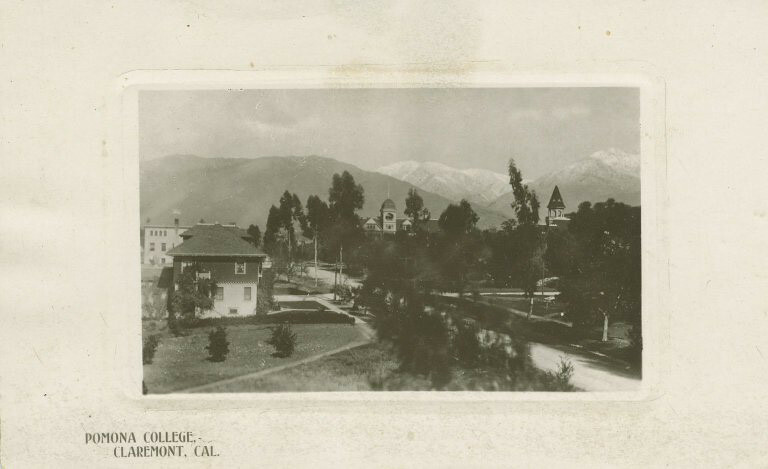 Starting in 1909, the College catalog no longer listed information about the Preparatory Department. 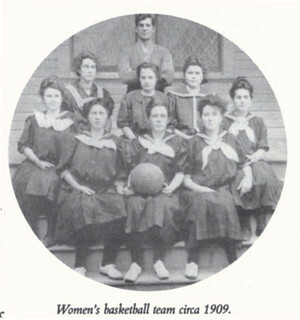 In June 1911, at the end of graduation exercises, the Preparatory Department was officially eliminated. In a letter to her mother in 1909, Alice Baldwin Hall 1913 wrote, "Last Monday night, Burt Johnson and I went for a moonlight stroll. We went over into the 'Wash,' an overgrown park filled with live oaks, a favorite place for 'queeners' [dating couples]. The observatory is there and we climbed up a sort of outside staircase and sat up on the top for a while. He gave me a box of candy, the first I have had since I came. We are going again tonight." 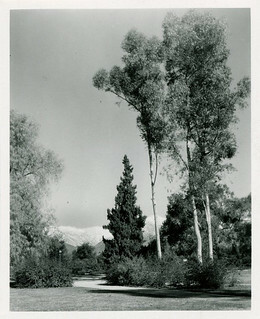 An alternate view of the Wash appeared in a 1910 letter from Dean of Women Grace Berry to her mother: "We have the winding paths under the trees, right on our campus. Is it any wonder that couples say they are going to the library and then spend the evening in the Wash? But that does not make it a safe thing to do." In 1909, Pomona celebrated the construction of its new baseball field by winning the conference with an undefeated season. The last United States troops left Cuba after being there since the Spanish-American War. Joan of Arc was beatified in Rome. Karl Landsteiner developed a system of blood grouping.